From Goodreads: SHE HUNTS THE REALMS MOST DANGEROUS GAME. 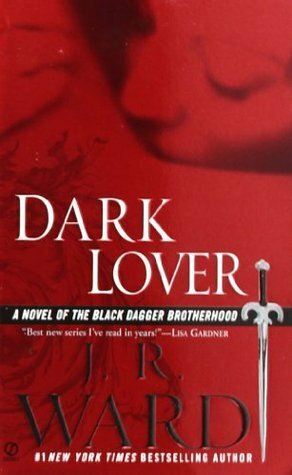 My Reveries and Ramblings: Dhampir is about the travels of a half-elf (Leesil), a dog (Chap), and a half-vampire (Magiere). The story begins during their last job. Magiere and Leesil con villages into giving them money in exchange for her hunting services. This involed Leesil disguising himself as a vampire and Magiere pretending to kill him in front of the villagers. Before performing her services, Magiere would convince the town to give her almost every penny they had as payment. After this last job Magiere and Leesil move to Miiska and open a tavern (really just a bar with a faro table). Before arriving, Magiere and Chap fought and killed a vampire, although they mistook him for a crazy villager. 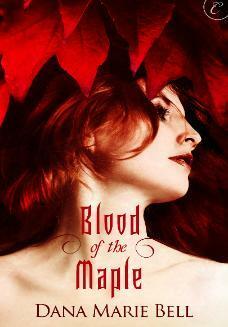 When they arrive, the vampires residing in town are out to kill Magiere before she can kill them. However, Magiere is done with “killing” vampires. All she wants is to live a quiet life, running her tavern. But all those rumors she and Leesil spent so much time and effort spreading about her hunting skills have finally cought up with her, and no one will let her live quietly. She is a vampire hunter after all. Magiere was raised in a small village by her aunt. She was hated by the other villagers because her father was thought of as evil even though Magiere never knew him. Magiere is very quiet and keeps her thoughts to herself. On the outside, she is very hard and cold, but deep down, she is very caring. Whenever a vampire threatens her, the half-vampire in her comes out. When this happens she can’t speak or think coherently-its all instinct. Leesil is Magiere’s half-elf companion. He was born a servant warrior. His past is so sad. The lord that owned his family made sure he was trained to kill-which he did. When he finally escaped, he made his living stealing. After meeting Magiere, they devised a plan to make money together. Even though they’ve worked and lived on the road together for a few years, they barely know anything about the other. They have a mutual agreement to keep their pasts in the past. Leesil’s dog, Chap, is very protective of both Leesil and Magiere. He was given to Leesil as a gift from his mother. Chap has similar fighting and healing abilities as Magiere which baffles Leesil. Chap is so adorable. He is the perfect guard dog. He is also the perfect lapdog. The three main vampires are Rashed, Ratboy, and Teesha. Teesha’s story was heartbreaking. She had a great and happy life until she was forced to leave her home. I was very conflicted in terms of which side I was rooting for: vampires or Leesil and Magiere. The vampires were the “bad guys” but I liked them. Their pasts were so complicated and full of sorrow that I could not hate them no matter what they did. However, I did not like what they did. Most of the killing that took place in the story was VERY unnecessary. The vampires think Magiere is out to get them when she doesn’t even know they exist. Instead of hiding, leaving, or waiting to see what happens, they attack her before she can attack them. In doing this, they reveal themselves to her and anger her. Now she wants them dead because they threaten the peaceful life she wants. So both sides resort to their natures instead of doing what they want. It’s a whole he-said-she-said type situation. I liked this book. It wasn’t great. I so badly wanted there to be at least a little bit of romance between Leesil and Magiere. But alas, there was not. The dialogue was very well written and natural. The whole book was pieced together nicely. The characters had in-depth histories and personalities. The final battle scene was very suspenseful. Throughout the first half, I wasn’t exactly turning the pages quickly. Eventually it started to pick up-I was eagerly flipping to find out what happened next. This book is very bloody and violent. But there are funny moments. This husband-wife writing team are not afraid to kill their characters. 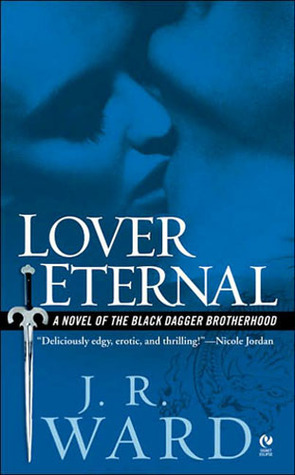 I enjoyed it and will be reading the next book in the series. From Goodreads: Lillian Hunt has never truly lived. Always sensing more to the world than is easily perceived, she fears that her instincts are stubborn flights of fancy, or worse, mental instability. But some things—disappearing strangers, tangible dreams, and visits from malevolent creatures—cannot be ignored. Before it’s too late, Lillian is ripped from the only existence she’s ever known and thrust into a reality that she always suspected, but could scarcely believe. She must learn the truth about who she is, the powerful beings that wish to destroy her, and the two men who would die to protect her. Jennifer DeLucy has created a unique, enchanting tale of destiny and the ageless power of love in her debut novel, Seers of Light. DeLucy’s novel charms readers with quirky characters, while sketching a haunting portrait of one woman’s journey on the path of the supernaturally gifted. But be prepared. Once you’ve entered the world of Seers, you will never be the same. My Reveries and Ramblings: Jennifer DeLucy’s Seers of Light is a journey of love, hope, and courage. 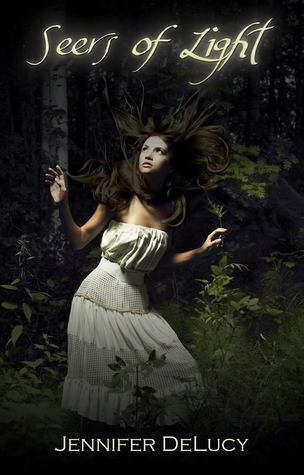 The story follows Lily, a pathcrosser and empath, who is saved by Christian from a vampire attack. After a brief explanation from Christian, he takes her to Georgia to Abram and the other endowed people. There she discovers who she really is and her destiny, to battle evil spirits and beings. She trains with William, the vampire with a soul. Before their first training session Lily decides to hate him for what he is not who. He expects and puts up with her attitude stating that she can hate him all she wants just as long as she learns what she needs to survive. As the training sessions continue, she starts to see the humanity in William. Christian, seeing that Lily is being less hostile with William, becomes very clingy, even though they are not dating. He starts to follow her around like a “golden retriever.” When a coven of vampires located near her hometown starts to threaten Lily’s new happy life, she along with her new family, must defeat them, or die trying. All the characters in Seers of Light were real. I found I had a lot in common with Lily. Although, I don’t think I’m quite as stubborn as she is. After spending most of her life seeing spirits and being empathetic, Lily is more than happy to go where she is accepted and even admired for her abilities. She is very kind, but also judgmental and a bit gullible. Her love interest in the story is William Maddox. I could talk about William for the rest of my life. In fact, I’ve reread Seers of Light so many times that I’ve actually lost count, all because of William. Even after reading it X amount of times I still feel my heart beat erratically whenever he walks in the room, or speaks, or is brought up in the conversation. Jennifer DeLucy did a marvelous job writing his character. William is a vampire who got his soul back. Everything about him is human except his body. The sentients, other endowed people, around the world aren’t too fond of him, nor is Christian. Christian spends most of his time voicing his hatred of William to his face. Poor William. He is so tortured but still strives to do what is right. Unlike Christian, William allows Lily to make her own mistakes and decisions. All I can say is that every time William did something or said something especially cute or witty I pretty much swooned- which was quite often. Christian bugged me. There were so many times when he interrupted William and Lily moments that got me out of my seat screaming “Shut up, Christian!” or “Go away, Christian!” But to be fair, Christian has problems of his own. By the end, I thought Christian was okay. Abram was kind of like the head of the house. If I had to pick an actor to play him it would be Morgan Freeman. He’s wise and very grandfatherly. The rest of the characters are beautifully brought to life and fill the novel with an amazing story. Jennifer DeLucy explores love and courage in her novel. Love is a huge, and I mean gigantic huge, theme in Seers of Light. She forces the characters to examine their hearts and what it means to love. Love takes courage-it is a leap of faith. As a reader, I felt the love wrapped around the characters. To love someone, sometimes sacrifices must be made to keep or save that love. Seers of Light contained every form of love as well as the ups and downs of it. Seers of Light is one of those books that I can’t recommend enough. I’ve read this book more than three times (lost count after that). After every reread, I dreamt about William. I’m not exaggerating. I did. This is the only book that I’ve dreamt about more than once. It will stick in your mind. It will make you reflect about your own life and how love has affected you. 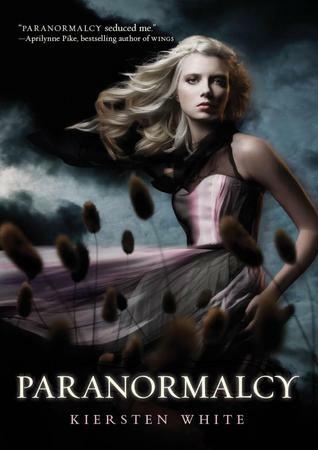 The smooth and easy flow of reality and the paranormal is proof of Jennifer DeLucy’s skill at story-telling. 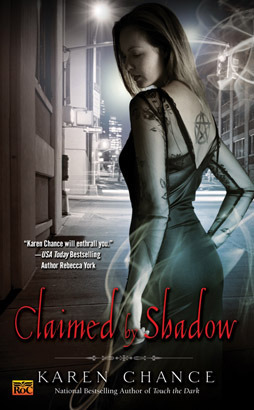 The paranormal aspect takes up a huge part of the book, but it is so completely believable that you barely notice it. There are so many books where the paranormal is just too unbelievable that it ruins the book for me. I’m so glad my library didn’t have this book. By buying a copy (kindle!) I am now able to bring it with me wherever I go. Which means, William goes with me everywhere 😉 Goodness! Seers of Light is an exceptional novel. The characters are memorable, the dialogue is absorbing, the suspense is thrilling, and the romance is truly beautiful. I adored this book!